Ron Douglas fires up his outrageously successful America’s Most Wanted Recipes series in this essential guide to recreating the most popular grilled dishes from the country’s most famous restaurants. When it’s grilling season, Ron Douglas, the New York Times bestselling author of America’s Most Wanted Recipes, likes to do it up big. Not just a few burgers on the grill, but steaks, seafood, corn on the cob, and of course his favorite restaurant remakes. So if you’ve ever wanted to make the savory grilled dishes from your favorite restaurants in the comfort of your own backyard—and save money in the process—then you’re in for a treat! Inside America’s Most Wanted Recipes At the Grill, you’ll find more than 150 copycat recipes from the most popular restaurants in the US, including Applebee’s Riblets with Honey Barbecue Sauce, California Pizza Kitchen’s Jamaican Jerk Chicken Pizza, the Cheesecake Factory’s SkinnyLicious Grilled Chicken, Famous Dave’s Pit Barbeque Ribs, KFC’s Honey BBQ Sauce, TGI Friday’s Jack Daniels Grill Glaze, and much, much more. Every dish has been tested and tweaked to taste just like the original. You’ll impress your friends and family with these copycat versions—or by putting a healthy twist on them and preparing the dishes exactly to your liking. Also included in the book is a special grilling guide to help home chefs become the grill master their guests will be raving about all year long. So fire up the grill and get ready to taste your favorite restaurant dishes at home! As I write this, it’s 10°F on Long Island, New York, where I live with my wife and two kids. Not one green sprig of grass to be found. I can’t even see the wood surface of my backyard deck, which is covered in snow. But soon, it will be grilling season, and even those of us in the northeast will be back outside, firing up the grill on warm weekend afternoons. And we’ll do it up big—not just a few burgers on the grill. I’m talking steaks, seafood, corn on the cob, and, of course, our favorite restaurant remakes. It’s my hope that America’s Most Wanted Recipes At the Grill will liven up your grilling experience, just as it has for my family. If you’ve ever wondered how to make grilled dishes from your favorite restaurants, you’re in for a treat. Inside, you’ll find more than 150 copycat recipes from the most popular restaurants in the United States, which you can easily prepare on your home grill. If this is your first book in the America’s Most Wanted Recipes series, welcome! 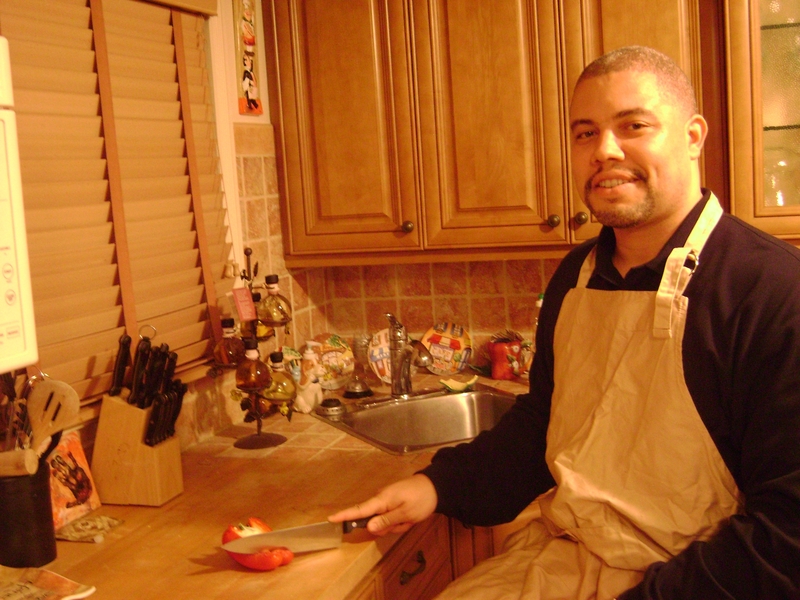 Back in 2003, I founded an online community called RecipeSecrets.net. Since then, with the help of our contributing chefs, we’ve unlocked the recipes to some of the most popular dishes served at the most popular restaurants around the country. What began as a hobby has grown into a website with more than 1.2 million members. • Impress your family and friends, and have fun comparing your meals with the restaurant versions. • Prepare the recipes to your liking, perhaps making them healthier, because you can control the ingredients and the cooking method, unlike when you’re eating out. • Enjoy dishes from several different restaurants in one setting. For example, a starter from TGI Fridays, an entrée from Outback Steakhouse, and a dessert from The Cheesecake Factory. • Challenge yourself in the kitchen by discovering some of the special techniques that go into re-creating some of the most popular dishes in the world. We’ve included a special grilling guide to help you become the grill master that your guests will be raving about all year long. 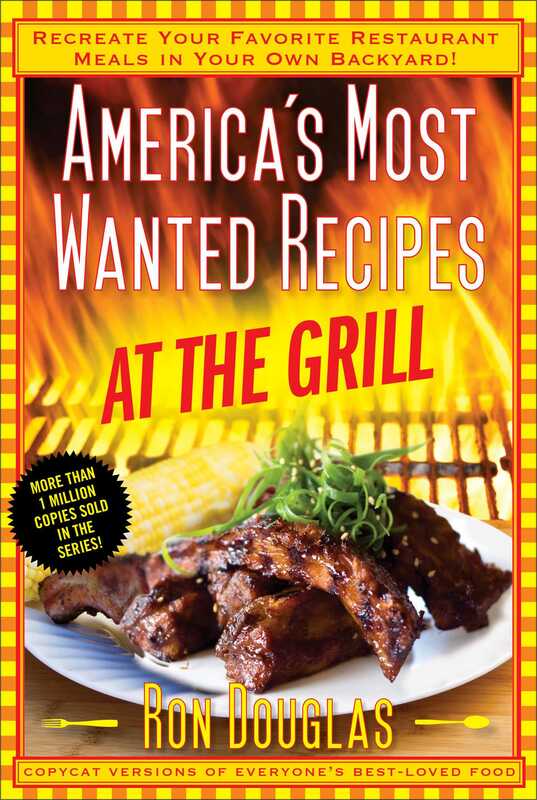 Each recipe in America’s Most Wanted Recipes At the Grill has been tested and tweaked to taste just like the original. We encourage you to use the website guide at the back of the book to find a restaurant near you, then compare the recipes in this book to the restaurant versions. Although we can claim only to offer copycat versions of these famous dishes, I am confident that if you follow the instructions, you won’t be able to tell the difference. Get ready to fire up the grill. Bon appétit!